The near constant availability of food is a treasured aspect of all the great global cities, and Melbourne’s late-night dining credentials earn it a spot in the top tier – the Grossi family’s new bar, Arlechin, prides itself on serving a midnight aglio olio spaghetti, while Nieuw Amsterdam serves up New York-inspired dishes until 3am. 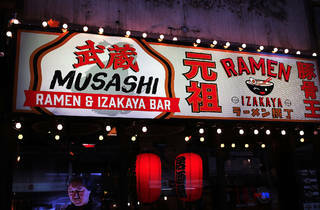 Coupled with around-the-clock public transport and all-night festivals such as White Night, Melbourne is moving in an opposite trajectory to Sydney and Adelaide, with their highly contested lockout laws. 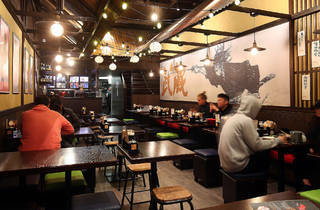 Twenty-four-hour ramen restaurant Shujinko used to be the only option for partygoers hankering for the Japanese staple dish at unearthly hours, but not anymore. 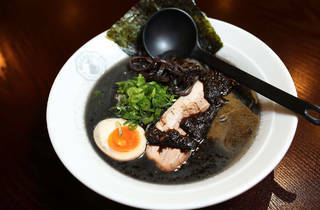 Enter Musashi Ramen, an after-hours noodle-soup purveyor on Russell Street near Chinatown. 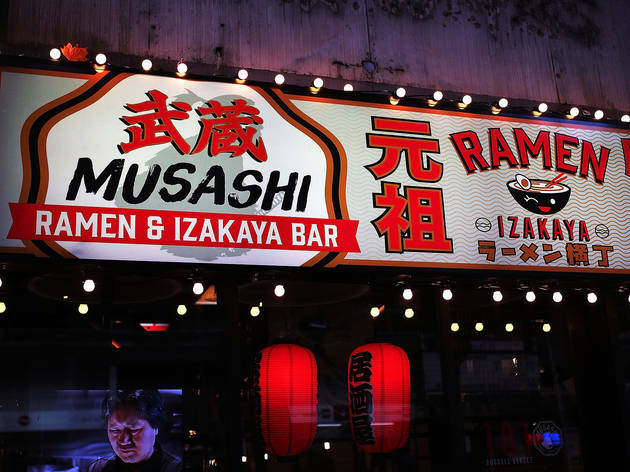 Customers fill up Musashi’s small confines in ebbs and flows; no one stays for long, but the restaurant is never empty – the bright signage draws you in, especially when your lizard brain is on a one-track mission for post-party fuel. Congenial chants of irrashaimase! greet diners as soon as they step inside. 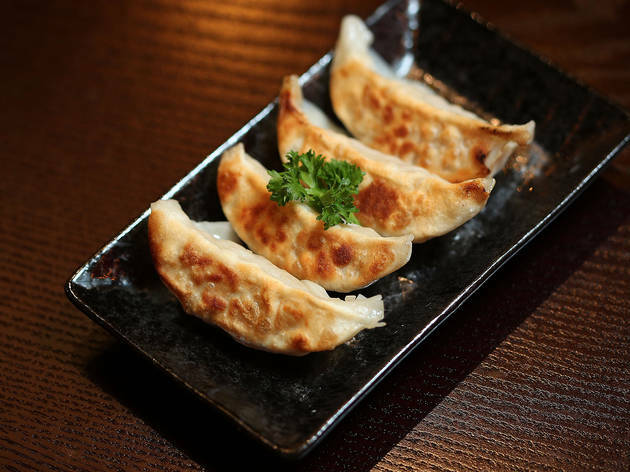 The heady smell of peanut oil and chilli, the paper lanterns strung across the sloping roof and the backing soundtrack of Japanese boybands could almost trick your beer-soaked brain into believing you’re in Japan. 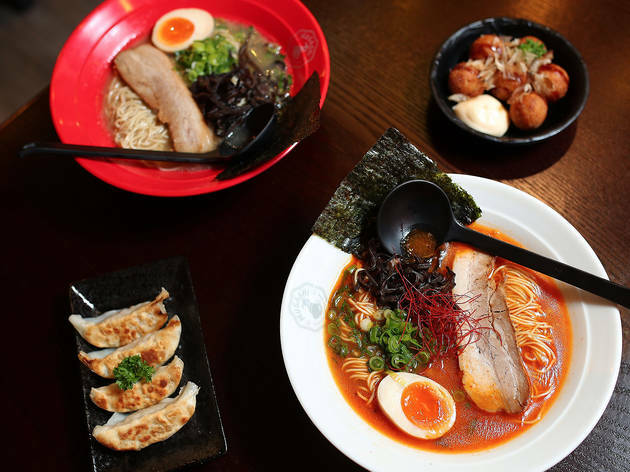 The ramen menu is demarcated into three sections: signature pork tonkotsu, Tokyo-famous chicken shoyu and speciality broths. 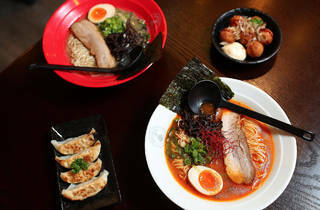 But if you’re worried you’re too far gone to eat ramen with any dignity, there are also four stock standard Japanese rice dishes like teriyaki beef and stir-fried pork belly that’re are easier going for fumbling fingers. However, nothing matches a bowl of noodle soup, when applied at the witching hour, for the power to straighten you out, warm you up and keep you going. Every element of your order can be customised, too, from the lightness and spiciness of the broth to the texture of the noodles. 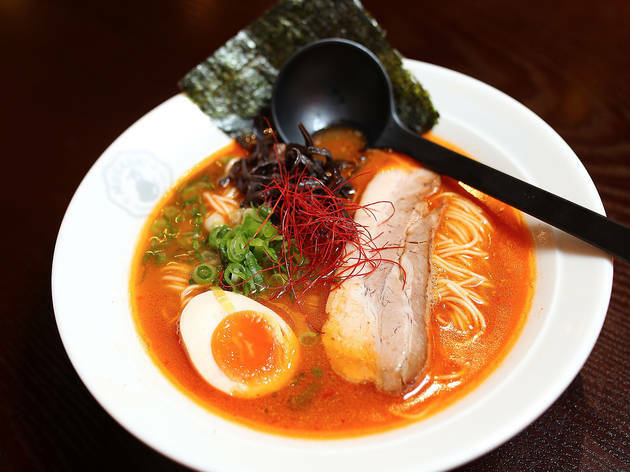 The certifiably chilli-hot Red Dragon ramen even comes with the option of an ‘extra spicy’ broth – suitable for the masochists among us. 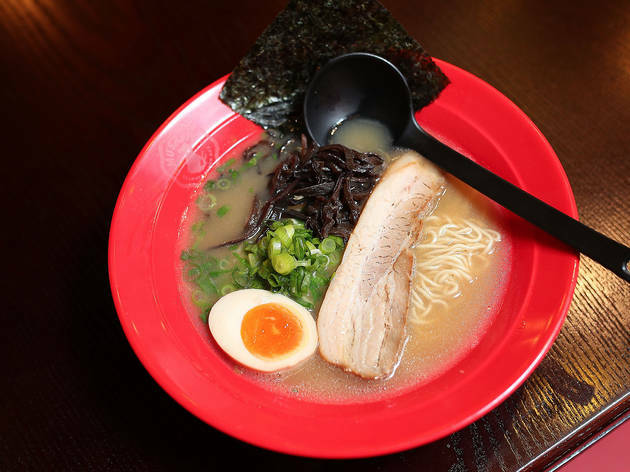 Even without the added chilli the heat from the balanced tonkotsu broth tickles at your throat, but stops short of sensory meltdown. 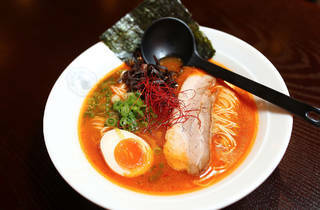 The classic-style Hakata tonkotsu ramen trades the piquancy of the Red Dragon broth for a creamy, pleasing saltiness. 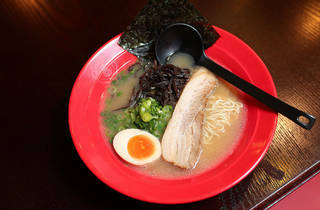 Instead of the thin circular cuts of chashu (slow-braised pork belly) that typically feature in ramen, Musashi’s ramen are served with a singular slab of unctuous pork belly. 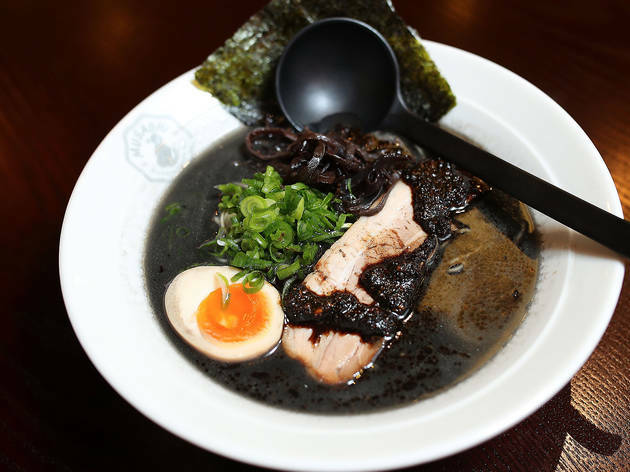 Your braised egg might be slightly overcooked so don’t look for the spilling yolk, but every other element is meticulously prepared – fine noodles with an al dente bite to them, black fungus and and nori that absorbs the rich broth. 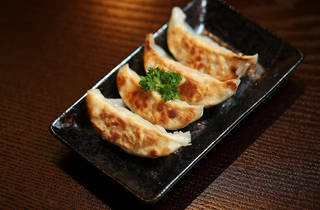 Bamboo shoots are a side option, as are extra serves of everything else. 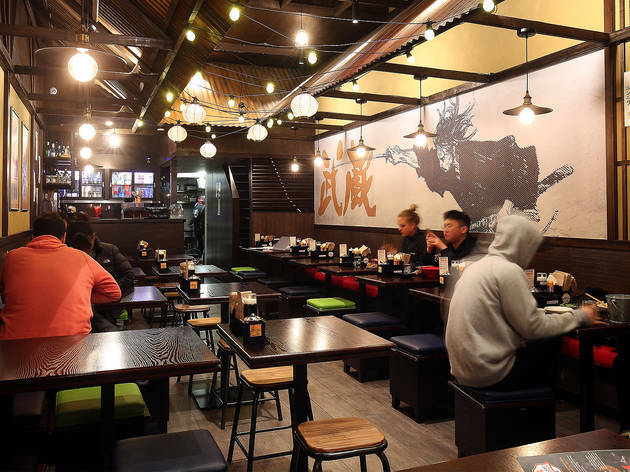 Don’t expect sumo sized serves here, the ramen are slightly smaller than average, which is appropriate for a meal that’s likely to be followed by bed. And just maybe that late-night bowl of noodles is the thing that turns your force five hangover into a manageable dustiness that two Panadol and a glass of water will cure. It’s certainly worth a shot.